Another Friday here already? How can it be? 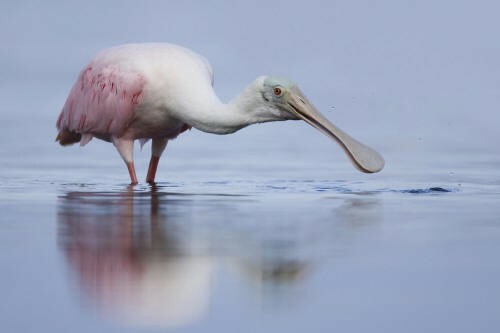 It may be that with the onset of spring, a few winter residents are leaving Southwest Florida. At my off-island dry cleaners last night they said they saw a huge drop in business this week. We haven’t seen much of a drop on the islands though. Traffic continues to be a challenge and our pals in the rental business say there will be another big turn-over of vacationers tomorrow. Season is flying by with The SanibelSusan Team’s time this week filled with showings, opening listings for showings, chasing down feedback, tracking tenants, updating pro forma/fliers, home inspections, monitoring contracts, and even a couple of listing presentations. Not the usual time of the year for new listings, but as the saying goes, “it pays to be the first born, the second wife, and the third listing agent.” I expect we have a couple of those to announce in the weeks to come. 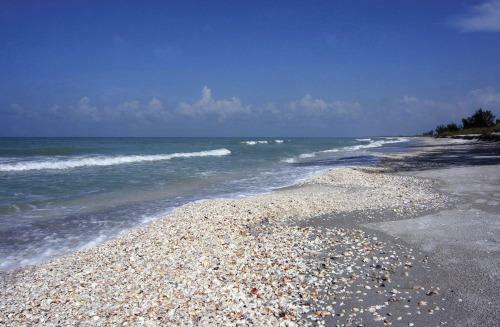 (“Those” being new SanibelSusan listings, as the first two requirements of that saying are already met.). Photos below taken by Dave from his cell phone from the roof of Bldg 1 at Seascape during the home inspection this afternoon by Ron Dehler, Horizon Home Inspection Service. It’s a gorgeous beach day! 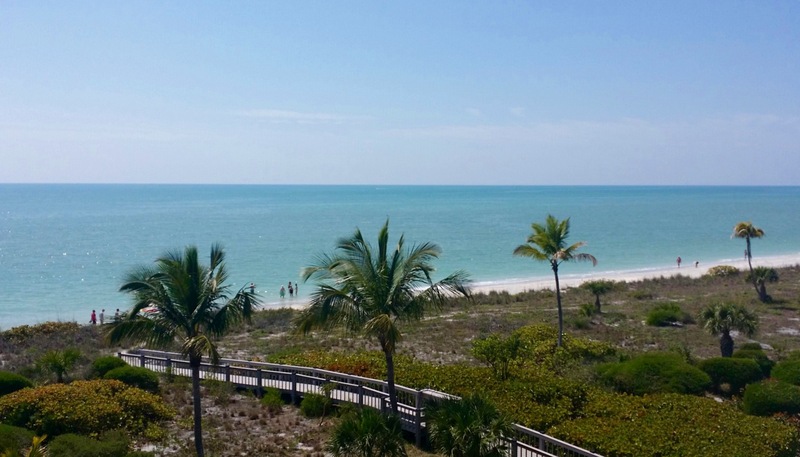 The week’s activity posted in the Sanibel and Captiva Islands Multiple Listing system is after a few other news items. Radon: Radon is the 2nd largest cause of lung cancer (smoking being first). The results of radon testing are tracked by state Departments of Health & EPA facilities. Interestingly the inspector, Adam Dalton with AmeriSpec, said that of the radon tests performed in Lee County 28.8% tested high for radon. (What is not known is how many are not tested. From my experience that answer is “many” or the majority by far.) He also said that the most radon has been found in high-rise condos. The composition of the concrete in the basic structures being the culprit. He also offered that the typical wood piling home on Sanibel with open lower level is probably the least likely to have a problem because this gas likely would dissipate because of the airspace below. When asked if granite – so popular in today’s remodels can be a cause – he said, “yes”. He also said that airing out a property before a radon test (rather than leaving it closed up for 12 hours as the test requires) will not produce a better reading, because the test protocol does not begin counting the test measurements until 4 hours into the test. The test is over an extended period (usually several days) and hourly records the amount of radon gas, temperature, pressure, and humidity. He also said that radon readings are usually higher during rain when the gas moves up. Formaldehyde: Jonathan Tongyai with SanCap Inspections spoke on this subject. He said the formaldehyde scare is fairly new. As recently reported in a segment of “60 Minutes”, a synthetic wood floor product sold by Lumber Liquidators has tested high for formaldehyde. The company has been accused of selling contaminated laminated flooring made in China. As this inspector said, when in doubt have a test performed, but usually the smell is obvious when the product is new. Common sense should prevail for the consumers and inspectors, but when in doubt, test. 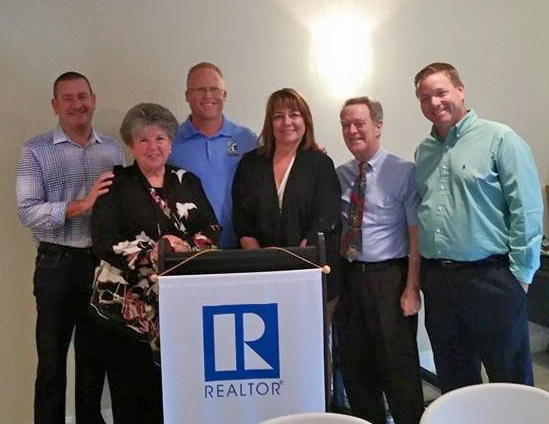 Florida Association of Realtors® 2015 Honor Society: At the same meeting, several Realtors® from our Association were presented with Florida Realtors® Honor Society pins. Local Association President Eric Pfeifer reminded members that only 20 of our 291 Sanibel/Captiva Realtor® members achieved local Honor Society status for their work in 2014, so to have several members also achieve state recognition is huge. 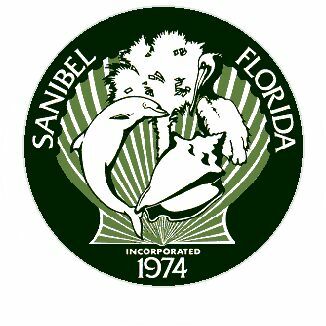 He then prefaced announcing that this is my 16th-year in Florida’s state Honor Society, by saying SanibelSusan is an old-timer. He can expect pay-back for that. Others in attendance and also receiving that state recognition are shown in the photo below: Jim Hall, yours truly, Eric Pfeifer, Toby Tolp, David Schuldenfrei, and Shane Spring. Congratulations to all! “Ding” Darling counts among the top 20 contestants for Favorite National Wildlife Refuge in USA Today’s Readers Choice Awards and is currently in 2nd place. They need our daily votes. Click here to vote once a day until noon on Monday, March 30, 2015. We know “Ding” Darling is the best, help them let the whole country know! Many locals have remarked this year that “since the islands keep making those lists, more people have come, and that’s why the traffic is so bad in-season.” If that’s the case, here’s yet another one. I saw the below article posted by Yahoo’s Travel Editor on-line yesterday. “If you’re thinking of a family trip and wondering where in the U.S others are taking the kids these days, one survey suggests they favor an itinerary like this: picking up seashells on a small Florida island, observing animals in a rain forest, and of course, eating at the Cheesecake Factory. 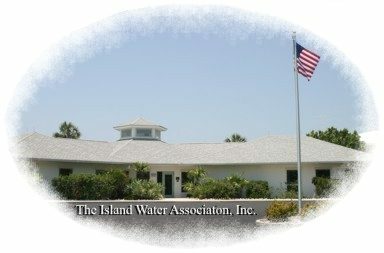 “This year marks 50 years of The Island Water Association providing fresh drinking water to its members. IWA was incorporated on January 19, 1965, as a not-for-profit association (501(c)4) whose purpose was “To construct, maintain, and operate a water system for the supplying of water for domestic, commercial, agricultural, industrial, and other purposes to its members….” Its founders and first Board of Directors were John Kontinos, E. G. Konrad, C. Smith Kauffman, Francis Bailey, and Paul Stahlin. “IWA’s first franchise agreement was granted by Lee County in July of 1965. Our first water supply came from the Pine Island Water Treatment Plant via an 8” subaqueous pipe laid across the bay from St. James City to the end of Dixie Beach Rd. The pipe and all valving are still in place, but leaks in the pipe prevent its use. Our last gallon of usable water from Pine Island was obtained in 1983. Following up on the article above, here is a real-estate related article from the same IWA newsletter. Is That Closet Worth More Than a Prime Location? Apparently Yes! Sometimes the articles posted in real estate trade journals are not a fit for our island resort community, so it was with interest that I saw the above headline in an article in the March on-line REALTOR® Magazine. Of course location remains the most, if not one of the most, important considerations in Sanibel and Captiva real estate. Here, it is all about, location, location, location. Other popular regional trends the survey identified were accordion-style glass doors in the Southwest; multi-generation floor plans and screened-in porches in the Southeast; balconies off the kitchen and rooftop terraces in the Northeast; and “Jack n’ Jill” bedrooms and coffee bars in the Midwest. The Sanibel and Captiva Islands Association of Realtors® is sponsoring a free seminar at The Community House on Wednesday, March 25, from 10 to 11:45 am. Information will be provided by a panel of Association Affiliate Members who work in the insurance field. Enjoy coffee at the “meet and greet” from 10-10:15, followed by the seminar from 10:30-11:45. Join these seasoned insurance professionals for updates and answers to important questions and news on properly insuring your home and valuables. Featured speakers are: David Arter with Private Client Insurance Services, LLC; Chris Heidrick with Heidrick & Company Insurance; Angela Roehl with Rosier Insurance; and Dawn Zettler with Insurance and Risk Management Services. Hosted by Sanibel Mayor Kevin Ruane and City Councilmembers Mick Denham, Chauncey Goss, Marty Harrity, and Jim Jennings, new residents of the island (within the past 24 months) are invited to attend a New Residents’ Reception at City Hall on Thursday, April 9, from 9 to 11 a.m. Please RSVP by April 3 to sancouncil@mysanibel.com or 239-472-3700. 3 new listings: Cottage Colony West #102 1/1 $649,946; Coquina Beach #2C 2/2 $729K; Seascape #201 3/3 $1.849M. 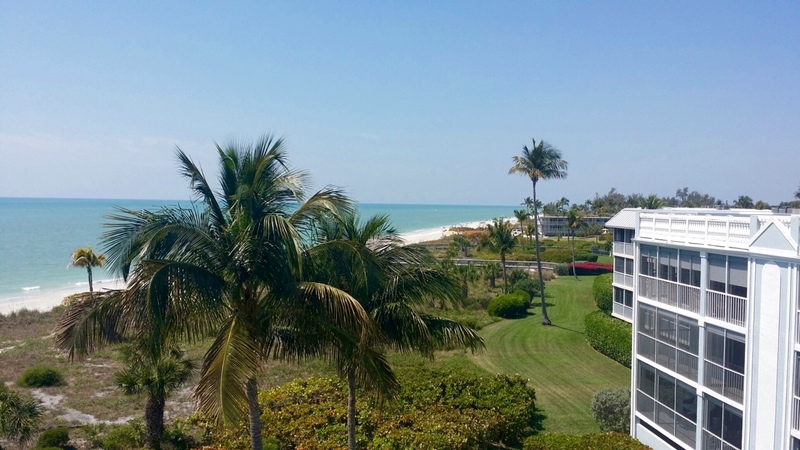 5 price changes: Sanibel Arms #E7 1/1 now $365K, Sundial #O201 2/2 now $699K, Sundial #F201 2/2 now $799K, Compass Point #111 2/2 now $1.95M, Sanibel Sunset #202 3/2 now $1.745M. 5 new sales: Colonnades #11 1/1 listed for $195K, Spanish Cay #B2 2/2 listed for $394K, Sanibel Siesta #701 2/2 listed for $525K, Beachcomber #C102 2/2 listed for $1.575M, Sedgemoor #206 3/3.5 listed for $2.499M. 7 closed sales: Sundial #F406 1/1 $329K, Sanibel Arms West #G5 2/2 $490K, Seawind II #2 2/2.5 $635K, Sundial #Q205 3/2 $800K, Kings Crown #317 2/2 $920K, Gulfside Place #125 2/2 $1.17M, Yacht Haven #1 3/2 $1.5M. 4 new listings: 9248 Dimmick Dr 3/3 $649.9K, 5749 Pine Tree Dr 3/3 $749K, 1237 Isabel Dr 5/6.5 $2.995M, 1306 Seaspray Ln 3/4 $4.195M. 10 price changes: 4636 Buck Key Rd 2/2 now $419K, 220 Palm Lake Dr 3/3 now $580K, 2220 Camino Del Mar Dr 3/3 now $599K, 9012 Mockingbird Dr 3/2 now $619K, $603 N Yachtsman Dr 3/2 now $670K, 1182 Kittiwake Cir 3/3 now $699K, 9445 Beverly Ln 3/2 now $775K, 1528 Angel Dr 3/2 now $799.5K, 1048 Fish Crow Rd 3/2 now $815K, 1204 Isabel Dr 3/3.5 now $3.895M. 8 new sales: 1677 Sabal Sands Rd 3/2 listed $440K, 257 Daniel Dr 3/2 listed for $649K, 3131 Twin Lakes Ln 3/2 listed for $689K, 2210 Camino Del Mar 3/2 listed for $695K, 6101 Castaways Ln 4/2 listed for $850K, 820 Sand Dollar Dr 3/2 listed for $989K, 4308 West gulf Dr 3/3.5 listed for $1.879M, 1136 Golden Olive Ct 4/4.5 listed for $2.4M. 9 closed sales: 918/920 Main St 5/5 multi-family $380K, 320 Palm Lake Dr 2/2 $424K, 1613 Sand Castle Rd 3/2.5 half-duplex $455K, 739 Elinor Way 3/3 $550K, 218 Daniel Dr 2/2.5 $750K, 3840 West Gulf Dr 3/2.5 $849K, 1287 Par View Dr 3/2 $865K, 836 Sand Dollar Dr 3/2/2 $1.195M, 561 Lighthouse Way 5/4 $1.75M. 3 new listings: 915 Main St $199K, 2133 Starfish Ln $399K, 2479 Harbour Ln $599K. 3 new sales: 1299 Par View Dr listed for $229K, 6411 Pine Ave listed for $339,999, 2494 Blind Pass Ct listed for $649K. 1 closed sale: 2403 Blue Crab Ct $470K. 2 new sales: Bayside Villas #5222 1/2 listed for $322K, Lands End Village #1654 3/3 listed for $1.685M. 3 closed sales: Tennis Villas #3232 2/2 $440K, Gulf Beach Villas #2012 2/2 $583.5K, Captiva Shores #5C 2/2 $837.5K. 4 price changes: 16785 Captiva Dr 4/3.5 now $1.63M, 11500 Chapin Ln 4/4.5 now $1.995M, 15009 Binder Dr 4/5.5 now $3.75M, 11530 Paige Ct 4/5.5 now $4M. 1 closed sale: 16915 Captiva Dr $1.195M. 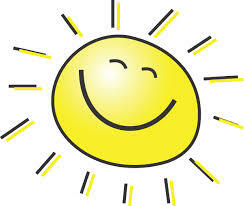 Until next Friday, here’s hoping your weekend is sunny too. This entry was posted in Captiva real estate, Florida property, Florida real estate, Real estate, Sanibel Island, Sanibel real estate, SanibelSusan, SanibelSusan's Blog and tagged Family Vacations, Homeowners Seminar, Insurance Panel, Island Water, National Wildlife Refuge, New Residents, Sanibel and Captiva Islands Multiple Listing Service, SanibelSusan Realty by SanibelSusan. Bookmark the permalink.